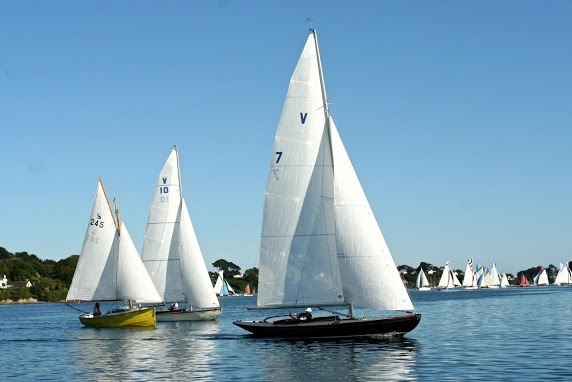 Programme and all information including Sailing Instructions and Notice of Race available on the website and from PoFSA. 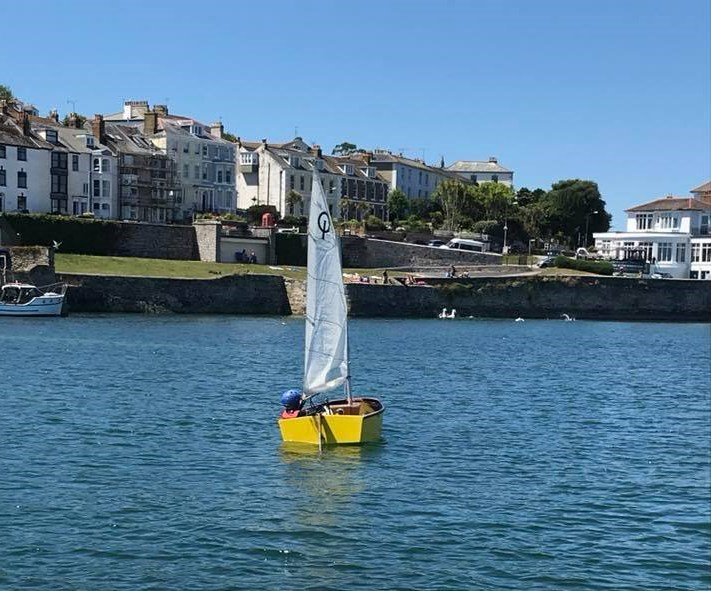 Congratulations to our junior sailors who made it out there on their own at the last session! Future sessions have been arranged on the dates listed below – they normally last up to 2 hours. Please let Melody Hitchens know if you are planning to attend these sessions. This will not only allow Melody to plan the sessions better but will also allow us to inform you if a session needs to be cancelled due to adverse weather conditions. Children should be there in good time and be changed ready to start at the specified time. If anyone has their own wetsuits, buoyancy aids, etc it may be worth them bringing them along. Finally, we are always looking for more volunteers to assist with these sessions so if there is anyone out there who may be able to assist, your input, however small, would be really appreciated! The Extreme Sailing Series returns to Cardiff Bay from 25-27 August. 10% discount code off VIP tickets for yacht club members. See poster for more details or visit the Website page link to Cardiff here. A big THANK YOU to the Blind Week organising committee and the volunteers who all helped to make this another successful event. 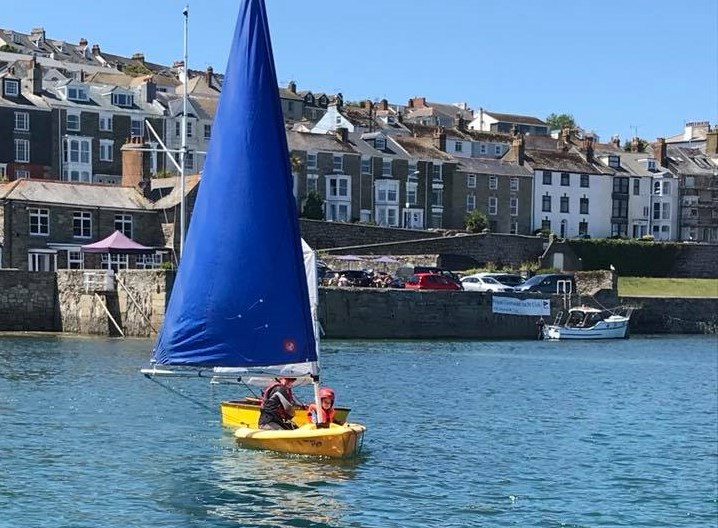 There is a lot of work which goes on behind the scene to ensure the week runs smoothly – from assisting with the transportation of VIs to and from Truro railway station as well as ensuring the safety and enjoyment of their time at sea during the week. It was a super week, with cracking sunshine and lots of fun. We are looking forward to next year’s Blind Week at the Royal Southampton on 6th July, 2019. 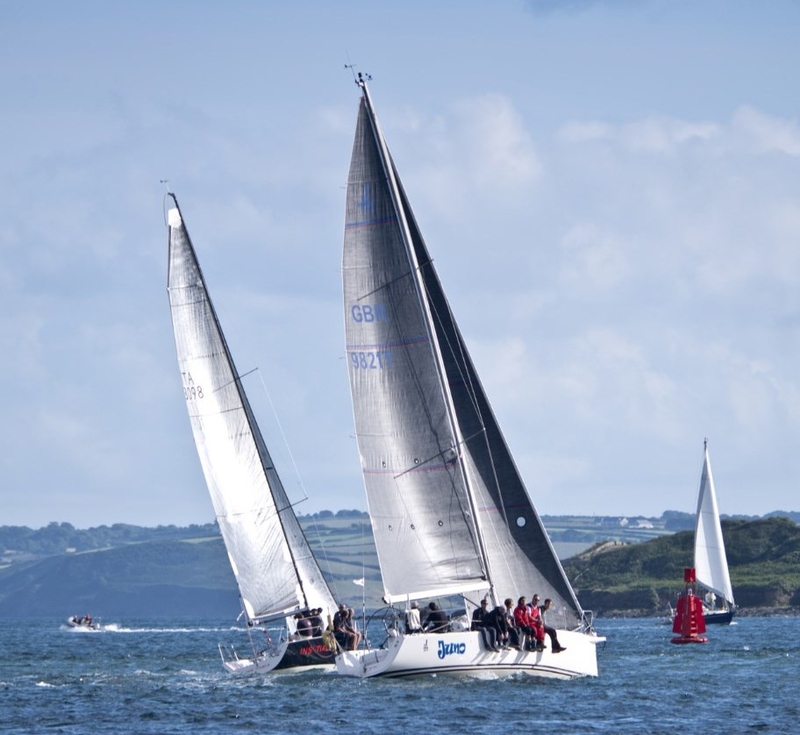 Thanks to all at the RCYC for supporting this event. Below is a thank you received from Will Bridge who is the organiser for Blind Week. I can only loudly echo Chrisâ€™ words of appreciation and thanks. You did your yourselves, your club and the spirit of Blind week in Falmouth proud!! I too have received lots of feedback on the subject from VI participants – all very positive. Quizmasters are the renowned Lyn Sissons and Michelle Atkinson. We need a minimum of 20 quizzers to make the evening viable so please sign up on the list in the bar if you are coming or use the booking link below, otherwise we will have to cancel. Brian will be producing another of his legendary BBQ’s for our delight. A bargain at Â£20 per head, with all profits going to the Commodore’s charity – Blind Week Sailing. There will be a cash bar in the marquee and live musical entertainment. 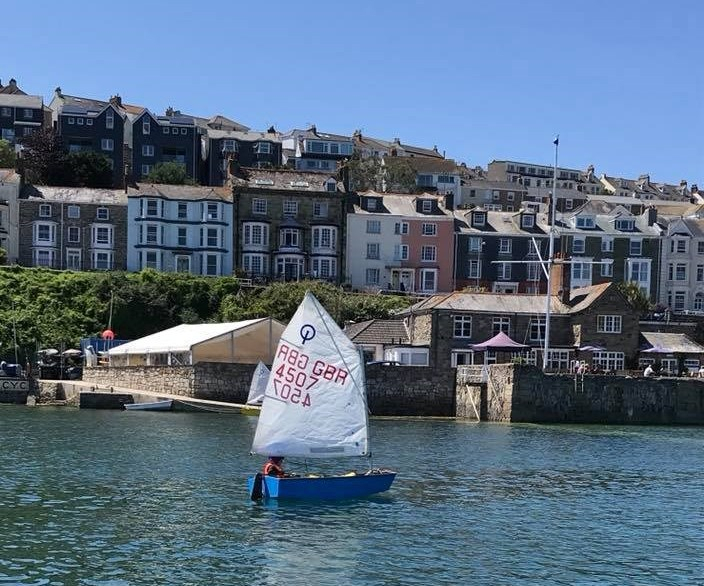 The list is now up in the bar or use the link below to book – cash or cheques made payable to ‘RCYC Commodore’s Charity’. A Memorial Service for Lester Smith will be held on Saturday 11th August at 11am, St Mylor Church followed by a Wake at Mylor Yacht Club. Although Lester had resigned from the Club at the end of last year due to ill-health he had previously been a very active Member, serving three years on House Committee and three or more as Sunbeam Class Captain.